HOT DEALS: Rayleigh Hi-Fi to hold 3D event on June 4-5th | What Hi-Fi? We've just been sent more details of Rayleigh Hi-Fi's forthcoming 3D event, being held this coming weekend of June 4th-5th at the firm's Chelmsford store. There will be demos of Loewe's new 46in and 55in 3D Compose TVs, Panasonic's 3D plasma range, incuding a monster 85in TH-85VX200E Pro model, and JVC's X3 and X9 projectors. Example deals include a free Panasonic DMP-BD110 Blu-ray player and one pair of 3D glasses with any GT30 series Panasonic TV, a free DMP-BD210 Blu-ray player and pair of 3D glasses with any VT30 set and a free DMP-BD210 Blu-ray player with all VT20 tellies. 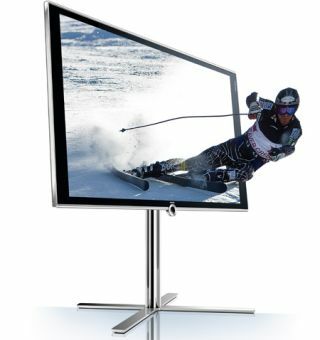 There will also be a £300 discount on Loewe's Individual 3D TVs in any screen size. In addition, customers will qualify for a free Loewe Blu-Tech 3D player worth £765, a pair of 3D glasses and free five-year warranty.